It seems like credit card debt is everywhere, and people are finding themselves increasingly buried by high payments. When the debt gets to the point where it feels like it is taking over your monthly budget, then it is time to do something. The Debt Alternative Center offers a debt settlement service that can help you to reduce your monthly payments and get your debt under control. The professionals at the Debt Alternative Center will work with your creditors to create a plan that allows you to pay off your debt at a discounted rate. 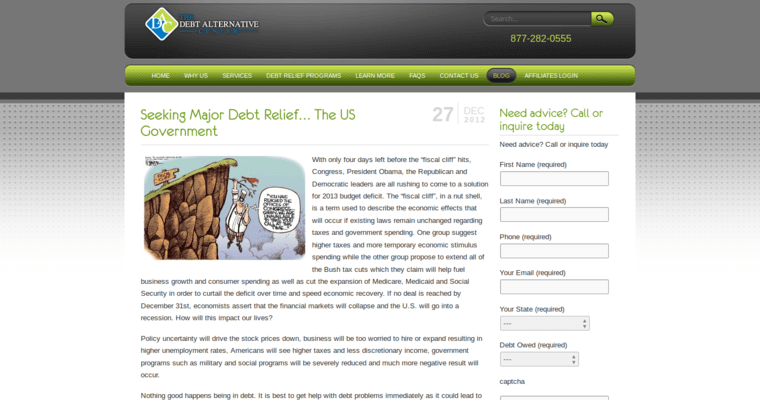 Then the Debt Alternative Center will put together a plan that has a single monthly payment that you can use to get rid of debt. 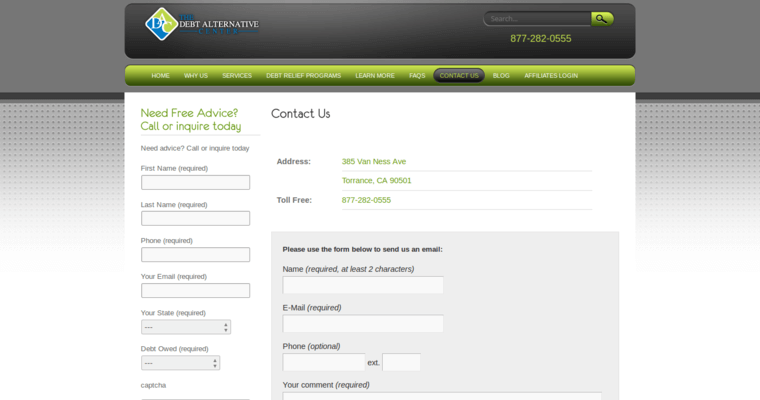 The Debt Alternative Center also offers services to other financial professionals who would like to be able to offer experienced debt settlement services to their customers.